MONTREAL: Coca-Cola, Walmart and other big multinationals pledged on Thursday to help reduce plastic pollution in the world’s oceans in support of a campaign by five of the G7 industrialized nations. Britain, Canada, France, Germany and Italy, along with the European Union, signed the Ocean Plastics Charter at a leaders’ summit in Canada’s Charlevoix region in June. 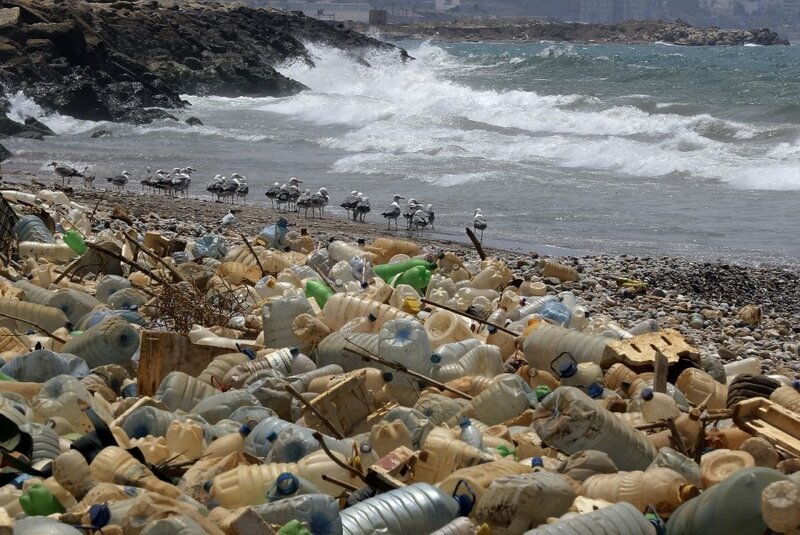 The United States and Japan abstained but non-G7 nations Norway and Jamaica are also backing the plan to ensure 100 percent of plastics are recyclable by 2030. On the second day of a G7 ministerial meeting in Canada’s Atlantic port city of Halifax, Canadian Environment Minister Catherine McKenna announced “a new partnership with businesses” to reduce plastics waste. Backers include Loblaws, Walmart, Nestle Canada, IKEA, Dow Chemicals, the Coca-Cola Company, BASF Canada and A&W Canada. Unilever also announced that it was launching a non-profit entity to reduce consumer and business waste, while Volvo upped its target to make 25 percent of the plastics in its cars recyclable by 2025. The G7 group of the world’s major economies are also looking to tackle a growing source of marine pollution: lost fishing nets and gear, which account for 70 percent of plastic waste floating on the surface of the sea, Canada’s Fisheries Minister Jonathan Wilkinson said. About 640,000 tonnes (tons) of nets and other fishing gear are discarded in the oceans each year, killing an estimated 136,000 seals, dolphins, sea lions, turtles, small whales and other seabirds, according to the World Animal Protection group. “This is a really big problem,” Wilkinson told AFP from the Halifax talks. “There is a consensus among G7 countries that this is a very important issue... and there is a clear commitment to address it,” he said. According to the United Nations environment agency, 70 percent of the large plastic waste that floats on the seas comes from fishing. Josey Kitson, executive director of World Animal Protection, called the plastic debris “death traps” for many seabirds, fish and marine mammals, but expressed hope that the G7 will address the problem. Wilkinson said G7 and other governments represented at the Halifax meeting are exploring fixes such as incentives for fishers to reuse gear and dispose of aging nets properly. The aim is “to actually clean it up (but also) not discharge it in the first place,” he said. The G7 is also looking at ways of tracking discarded gear back to vessels in order to identify polluters.